Hey hey! BIG NEWS: We gots merch!!! 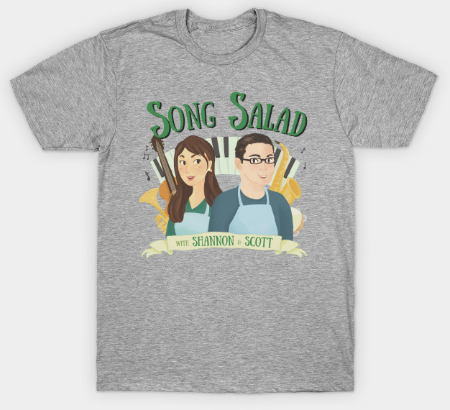 Head over to our TeePublic storefront and design your own Song Salad merch with one of our 3 designs! Choose from teeshirts, bags, mugs, and more in all kindsa color. We’re going back! We’re excited to be performing as part of Rob Paravonian’s Odd Rock Comedy Hour again. Meet up will follow nearby for those who want to say hello! Tickets: $10 on sale here!